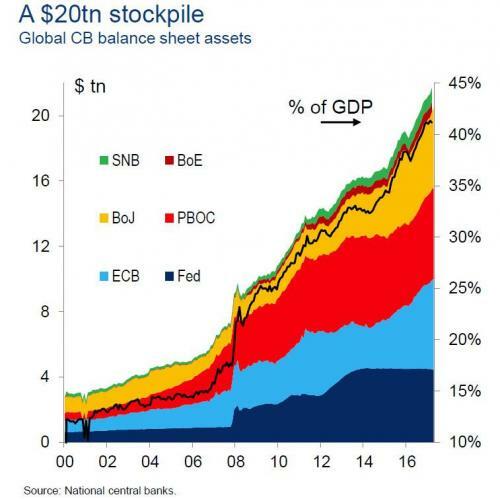 The entire US economy is leveraged to the hilt in every possible way. 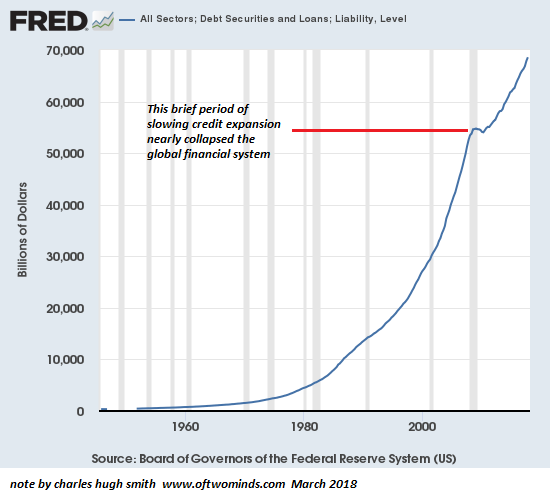 Mortgage debt, student debt, credit debt, margin debt; prodded by Fed policy, we have consumed an enormous amount of future productivity already, well before it has occurred. And that is a major problem. That future productivity will have to come from somewhere, in direct opposition to a major demographic shift that will see an increasingly large proportion of the US population becoming elderly while birth rates set new all-time lows. Less net productive citizens + more net consumptive citizens is exactly the opposite of what we will need. The world cannot be bought on credit forever. The same mechanics that have resulted in the failure of every fiat currency ever will work their predictable magic on the US dollar, as its masters continue to make the same mistakes as all their historical antecedents have done: Printing more and more, with nothing to back it up, marching it irrevocably into oblivion.